Say Hello to Mandatory Inclusionary Housing! Mandatory Inclusionary Housing is one of the city’s responses to the housing shortage. Released as a study in 2015 and adopted as a zoning text amendment in 2016, Mandatory Inclusionary Housing requires that a percentage of the total number of dwelling units in a new building or conversion be set aside, or new or rehabilitated affordable units be provided off-site, whenever there is an associated zoning change or special permit that increases the underlying residential development potential. As adopted by the City Planning Commission, Mandatory Inclusionary Housing established three options for providing affordable housing: 25% of total housing at an average of 60% of Area Median Income (currently $90,600 for a family of four); 30% of total housing at an average of 80% of Area Median Income; and, in emerging or mid-market areas only, a “Workforce Option” requiring 30% of total housing at an average of 120% of Area Median Income. Following the Commission’s adoption, the City Council modified the text by adding a “Deep Affordability” option calling for 20% of total housing at an average of 40% of Area Median Income, reducing the Workforce Option average income requirement to 115% and adding a requirement for 5% at 70% and 5% at 90%, and requiring an additional 5% of affordable housing when affordable units are provided off-site. Mandatory Inclusionary Housing represents a profound change in the way the Zoning Resolution regulates residential development. Neither the original 1916 Zoning Resolution nor the 1961 Zoning Resolution regulated housing based on income or affordability. The original goals of residential zoning were to set aside sufficient land for development, separate residential from manufacturing and other incompatible uses, regulate traffic and congestion, provide for light and air, and control the scale of buildings. The Inclusionary Housing Program was established in 1987 as a voluntary, incentive-based mechanism to encourage the production of affordable housing in high-density zoning districts. Under Inclusionary Housing, developers could choose to use or not use a floor area bonus based on providing affordable housing. In 2005, this voluntary program was extended to medium-density districts and the base floor area ratio was lowered, but the floor area could be increased if affordable housing was provided. The new Mandatory Inclusionary Housing is not voluntary. It is required whenever a rezoning or special permit increases the underlying residential development potential. While the applicant for a zoning change or special permit can prefer one of the affordable housing options, the final decision as to which option is required will be made by the City Council as the final step in the Uniform Land Use Review Procedure. The procedure for implementing Mandatory Inclusionary Housing expands the regulatory process developed for Inclusionary Housing. In addition to the Zoning Resolution, the process includes detailed regulatory guidelines promulgated by the Department of Housing Preservation and Development, which must be satisfied before the Department of Buildings may issue a building permit or a Certificate Occupancy. In linking mandatory affordable housing to discretionary increases in residential density, the city has made a practical choice. Unlike other forms of housing subsidy, there is no direct financial cost to the city associated with a zoning amendment or special permit. The cost is shifted to the developer, who is in theory compensated by the density increase. However, there may be a hidden cost by virtue of the additional regulations imposed on development. When it was voluntary, a developer could decide whether to seek an Inclusionary Housing bonus based on project timing, costs, financing, marketing, and other considerations. However, under the new rules, compliance is required. The studies underlying Mandatory Inclusionary Housing cite market, employment and demographic trends as causes of the housing shortage. However, the cumulative impact of rent regulations, the lengthy process for discretionary zoning approvals, the growing need to ask for interpretations of the Zoning Resolution and Building Code, and the lack of staff and resources available to the involved agencies also play a role. In any event, Mandatory Inclusionary Housing has gotten off to a rocky start with the lapse of the 421-a tax incentive program. The financial feasibility assessment underlying Mandatory Inclusionary Housing assumed that a 421-a tax abatement would be available. Although it is generally expected that 421-a will be replaced, its final form is unknown, and a reevaluation of the Mandatory Inclusionary Housing program may be required when that form is known. 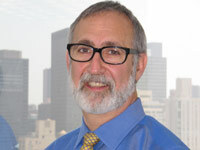 Howard Goldman is a partner at GoldmanHarris LLC, a New York City land use firm.